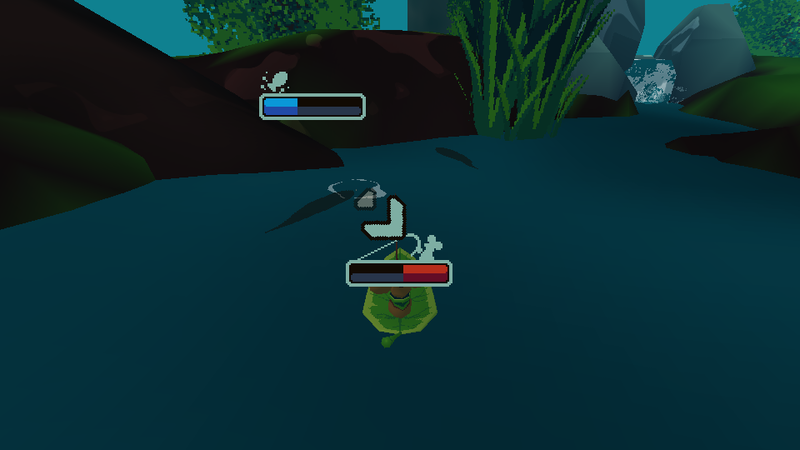 Play as a mouse and sail around a pond. 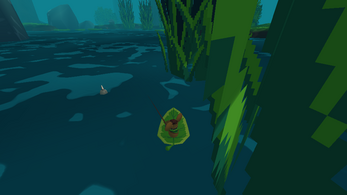 Fish will appear as small shadows in the water, cast your rod and try to catch some fish. 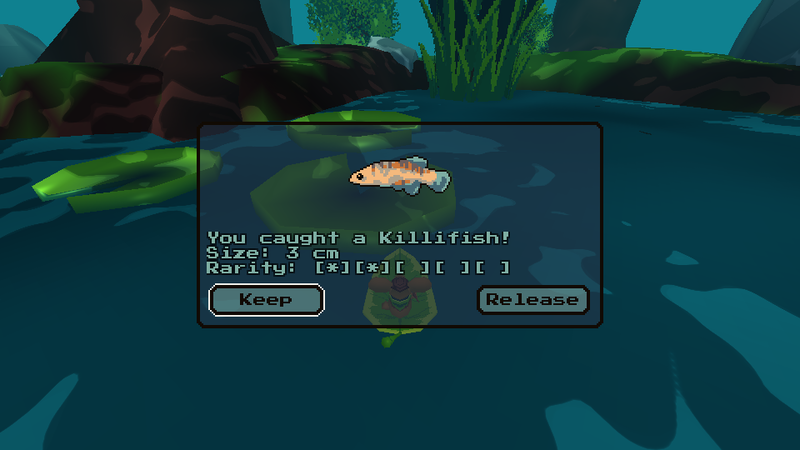 Any fish you keep are saved! 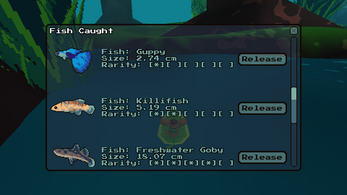 There are 14 fish with varying degrees of rarity and difficulty. Catch them all! Also thank you for game source! It's strange, as soon as I launch it it says "Godot Engine Editor has stopped working"
I loved it. It's so simple yet inspiring. Motivates me to make my own 3D games with Godot. made with GODOT ! great. I have it running in WINE. But it would be nice for a native Linux version. do you have a tutorial for this or could you share your program, i would like to start on GODOT (one of the few people i guess ) and need some starting inspiration. 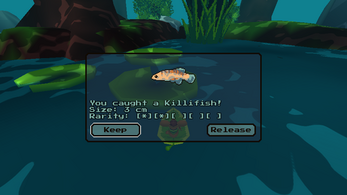 I don't have any tutorials, but I do release the source for my games! You can view the source for this game here. My other games include the source in their downloads, if you want to check those out. wow thats generous thanks. I haven't even started on GDscript yet! but sometimes taking apart things is the best way to learn. Is there a way to load the whole project at once into GODOT? You can download the whole project, put it in a folder, and then when you launch Godot press the button "Import", you can then browse to the project's folder and open it. Great job! Really comfy game.